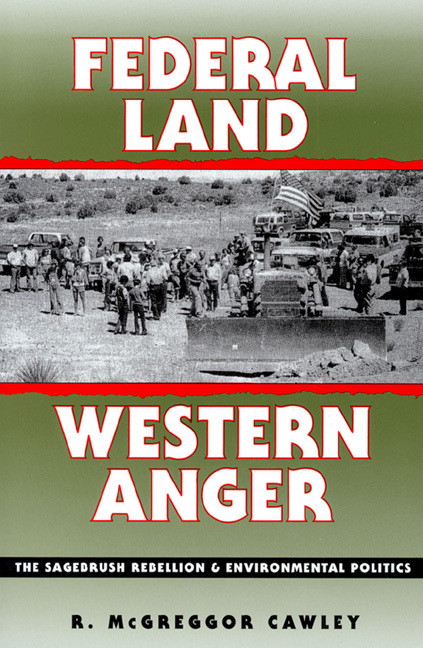 The ongoing standoff in Oregon echoes R. McGreggor Cawley’s work, “Federal Land, Western Anger: The Sagebrush Rebellion and Environmental Politics.” Inside the tome, Cawley objectively investigates the Sagebrush Rebellion, looking at the driving force behind the movement, the strategies used by the Rebels, and the consequences of the controversy. 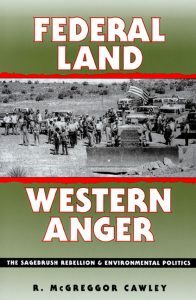 He examines how the definitions of key federal land management concepts, such as conservation, influenced policymaking and explores tensions that pitted the West against other regions and the federal government. In the process, he analyzes James Watt’s beleaguered tenure as secretary of the interior and the Reagan administration’s proposal to sell federal lands and shows how the conflict created an unexpected division within the environmental movement. Going beyond the Rebellion, Cawley offers provocative interpretation of events in federal land policy from the 1960s to the 1990s and establishes a framework for assessing future developments in federal land policy relevant to today’s headlines, like this one from The Atlantic.